Argos offers a huge variety of household goods, technology products, clothing, beauty products and more. Anything you need, you can get from your local Argos store. But what if you need something and have no time to go to the store or don’t have an Argos near to where you live? Avoid long journeys and queues thanks to one simple app. Pinga is the solution to all your shopping needs, allowing you to buy any product you want in a matter of minutes. Dreaming about the latest smartphone or looking to replace your old microwave with something new and improved? We can help you with that. Download the app to start seeing the benefits that come with Pinga. Placing an order is incredibly easy and quick, all you need is to dispatch your request to our network of Pinga Partners and have them clarify all details prior to confirmation. Then, you can simply pay for your products via the app and wait for your Argos order to arrive! If what usually puts you off shopping online is the long delivery waits and minimum order amount requirements, then you’ll be happy to know that Pinga has neither of them. You can buy as little or as much as you want. Only need to buy a pair of headphones? With Pinga you can. Every Argos delivery processed via the app is in the safe hands of our trusted team of Pinga Partners. They’ll take care of every request from this store and any others, allowing you to shop with no stress and to start enjoying your products as soon as possible. Get started with Pinga today! To help you figure out how the app works, read down below to discover everything you need to know about this service. Pinga delivers any items from Argos today. 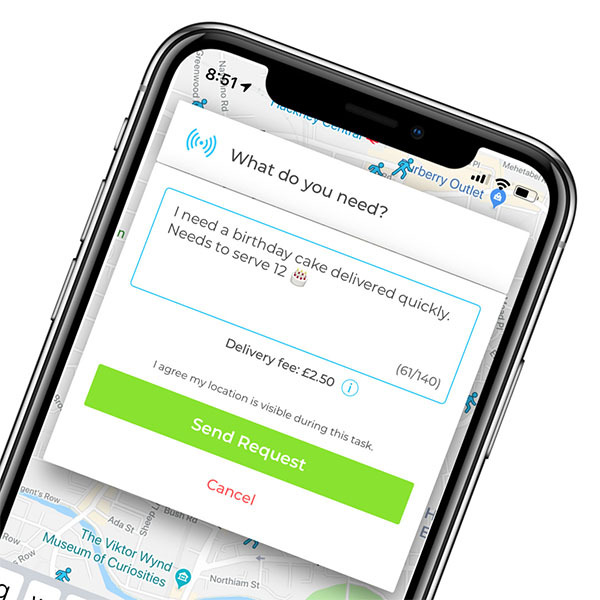 Infact our service normally delivers within an hour, so if you’re looking for same day delivers from Argos, send your request via the Pinga App. Describe what items you needs to be delivered from Argos and send your request. Pay securely within the app and receive your Argos items to your door!